Cyber and data security expert, Raphael Ouzan leads BillGuard's technology and product teams in its TelAviv R&D office. Raphael has been coding professionally since the age of 13 and has been lecturing onbig-data, crowdsourcing and cyber security ever since. In 2010, he co-founded BillGuard and built its firstversion and core technology. Raphael received Israel's highest President's Award for technologyinnovation and was invited to address world leaders at The World Economic Forum 2012 in Davos, allbefore the age 25. Prior to BillGuard, Raphael was a decorated officer in Israel's elite militaryprogramming and intelligence units where he led the country's best and brightest engineers. Raphael isalso the founder of Mission Intelligence, an elite technology training program for the world's topperforming students. 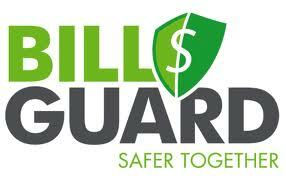 BillGuard is people-powered antivirus for bills. BillGuard, a personal finance security company recognized by Online Banking Report as one of the toponline banking innovations of all time, has developed a groundbreaking new approach to identifyingdeceptive, erroneous and unauthorized charges on consumer credit card and debit card bills. BillGuarduses crowdsourced big-data analytics to harness the collective knowledge of millions of consumersreporting billing complaints online and to their merchants and banks. The free service scans user’s e-statements daily, alerting them to bad charges and helping them get their money back.